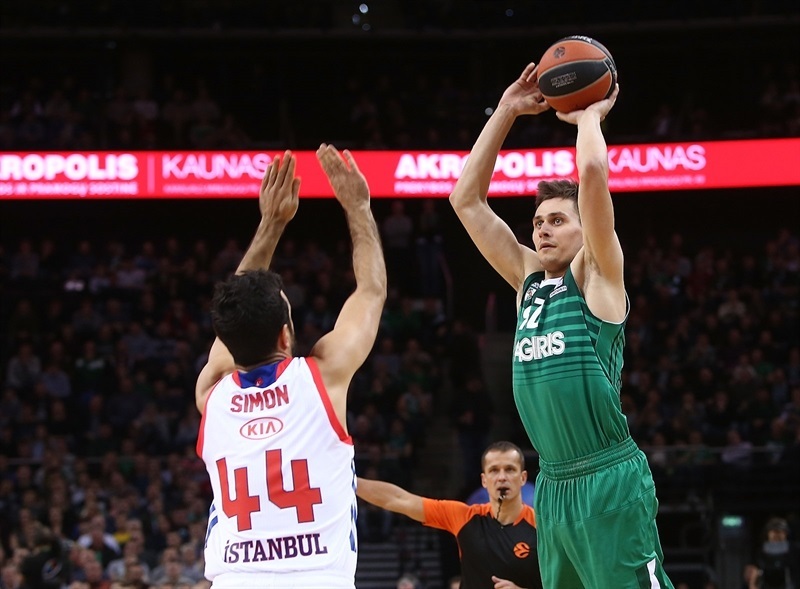 Zalgiris used a big advantage on the glass and fine performances by Edgaras Ulanovas in the first half and Paulius Jankunas in the second to hold off Anadolu Efes Istanbul 91-83 on Thursday . 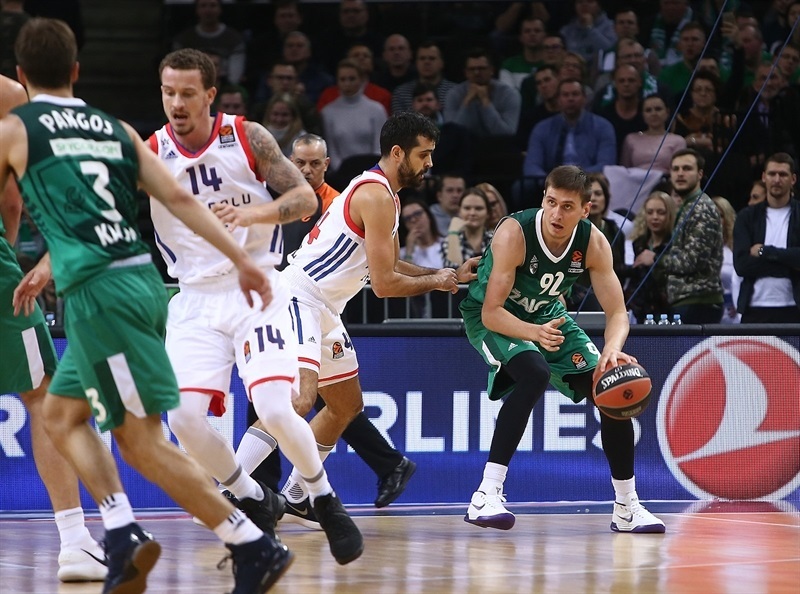 The win improved Zalgiris to 5-4 and snapped its two-game home losing streak, while Efes dropped to 2-7 at the bottom of the standings. 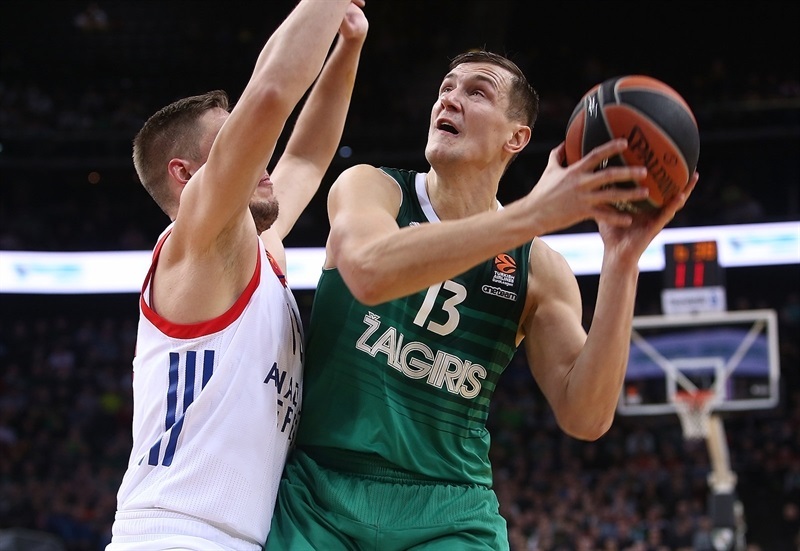 Zalgiris led for most of the night and extended its margin to double-digits midway through the fourth quarter, before holding off the visitors in the final two minutes. Ulanovas scored 20 of his career-high 22 points in the first half, and also had 7 rebounds, 4 assists and 2 blocks. 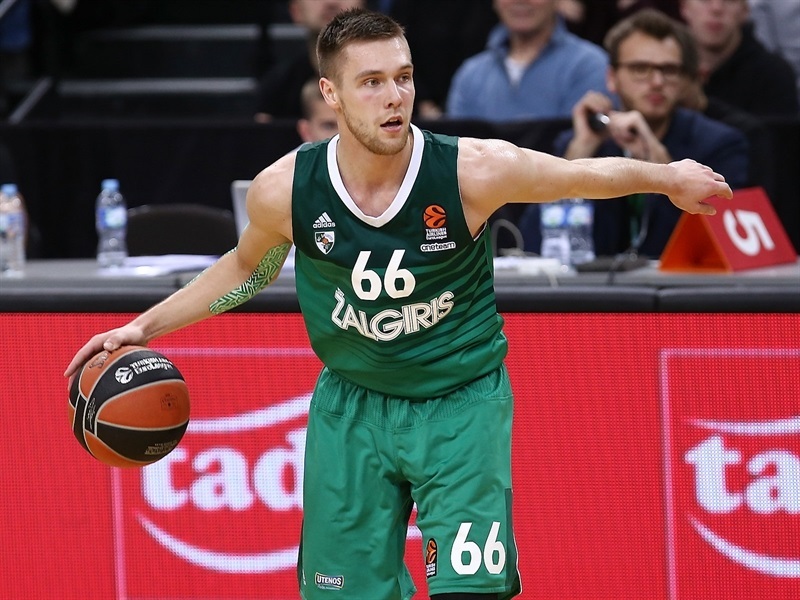 Jankunas scored 17 points with 6 rebounds for Zalgiris, which pulled down a season-high 16 offensive boards and outrebounded the visitors 40-29. Brandon Davies had 12 points and Kevin Pangos finished with 10 points and 7 assists in victory. Bryant Dunston led Efes with 17 points and 6 rebounds. 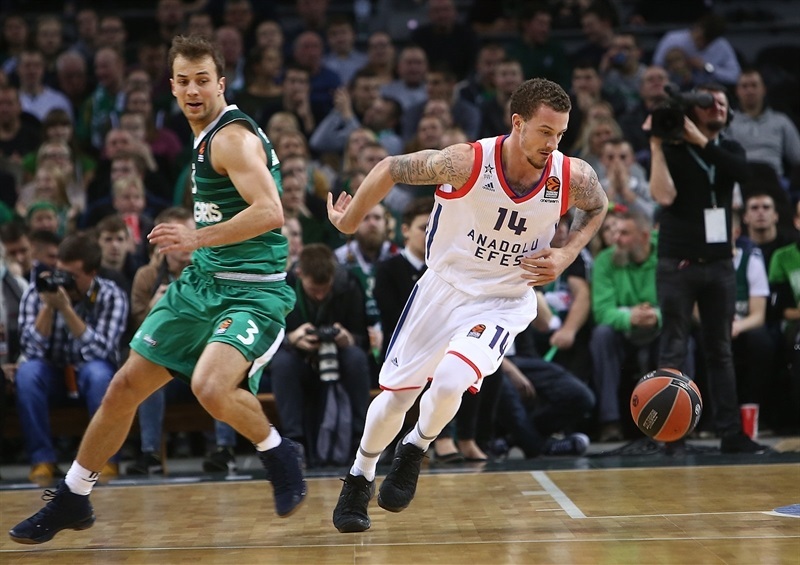 Josh Adams netted 15, Ricky Ledo 13, Krunoslav Simon 12 and Brock Motum – in his return to Kaunas – had 11 points in defeat. The teams traded baskets early on and Adams and Ledo each hit a three-pointer to make it 9-13. Toupane and Ulanovas led the way for the hosts before a three-point play by Jankunas gave Zalgiris an 18-16 edge. 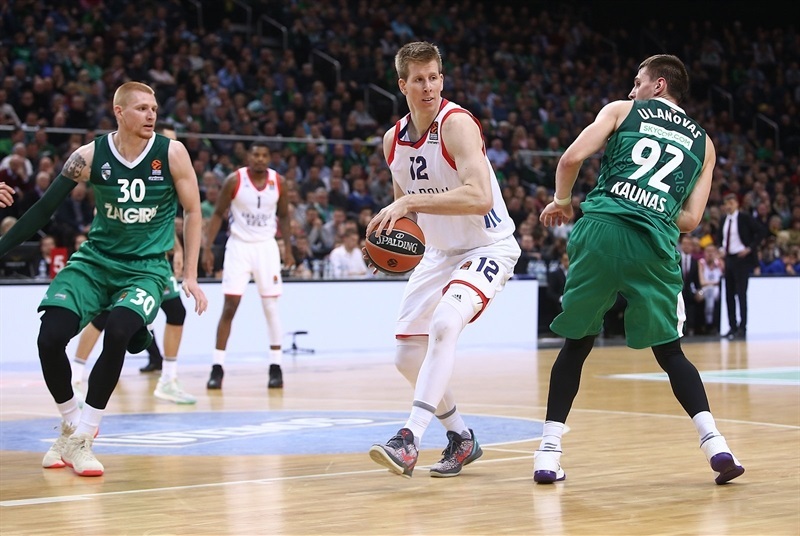 Anatanas Kavaliauskas scored inside and Aaron White had a fastbreak dunk, but Efes finished the quarter on a 0-8 run, with Dunston making a pair of baskets and Simon beating the buzzer with a three-pointer for a 22-26 lead. 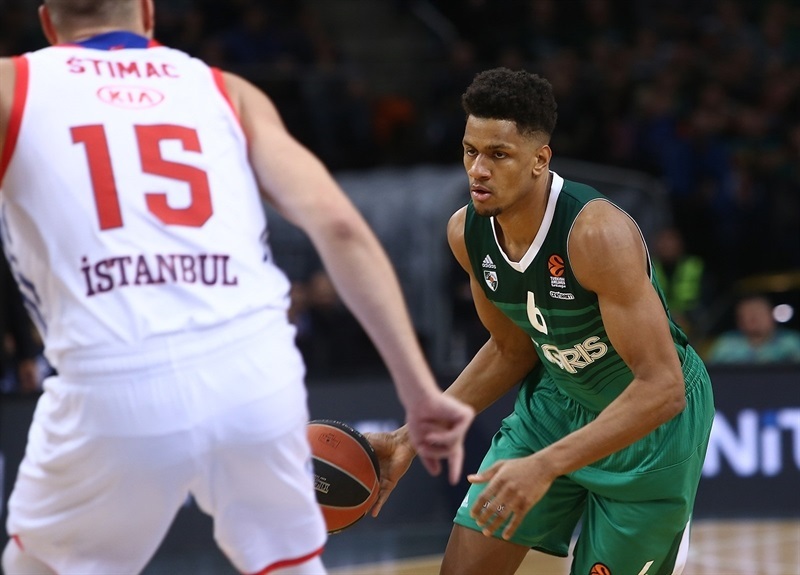 Zalgiris fixed the defensive leaks early in the second quarter and held the visitors without a single field goal for almost five minutes. In that span, White hit a three-pointer and Pangos and Jankunas scored from close range to make it 33-28. 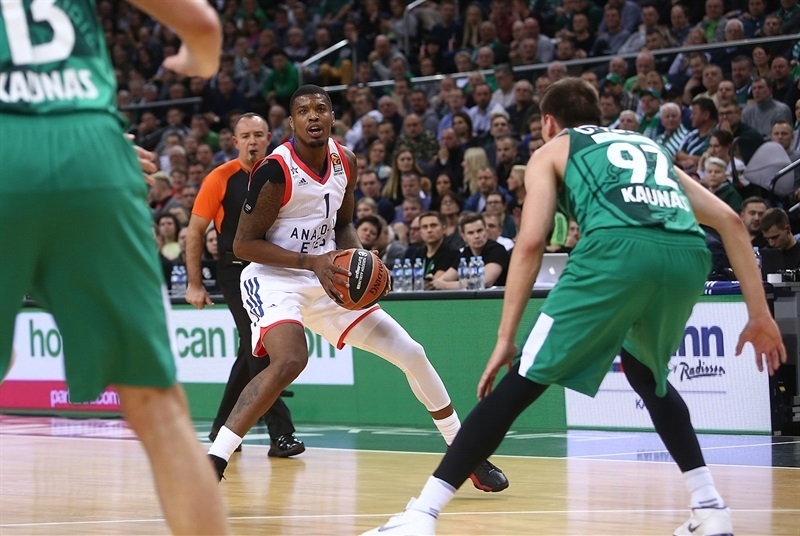 Efes answered through Dunston, but a Dee Bost three-pointer and baskets from Jankunas and Ulanovas made it 44-37. Simon and Ulanovas traded threes, before Zoran Dragic scored a fastbreak layup to set the score on 47-44 at halftime. 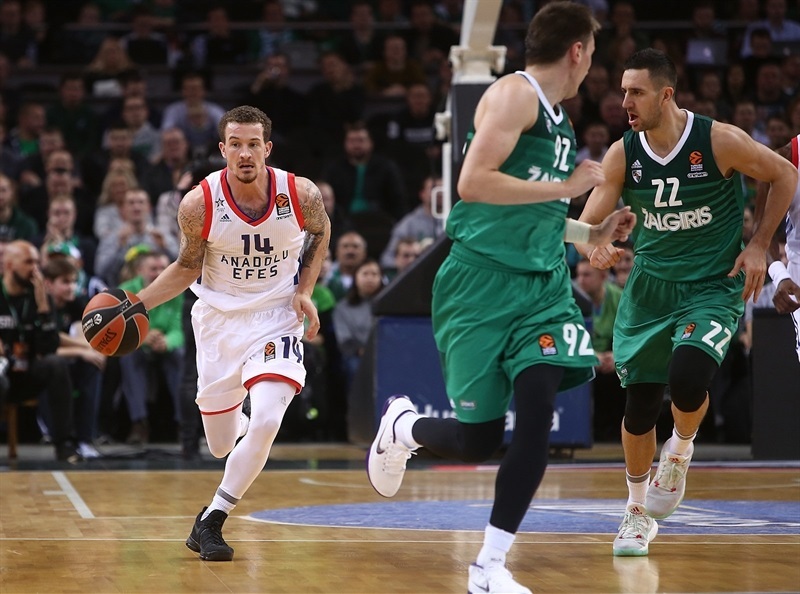 Efes briefly regained the lead after a mid-range jumper by Ledo, but Davies scored on both ends of a 9-1 run, which also included a three-pointer from White, 56-49. The hosts went into the final quarter up 66-61 when dunks by Davies quickly extended the margin to 71-61. 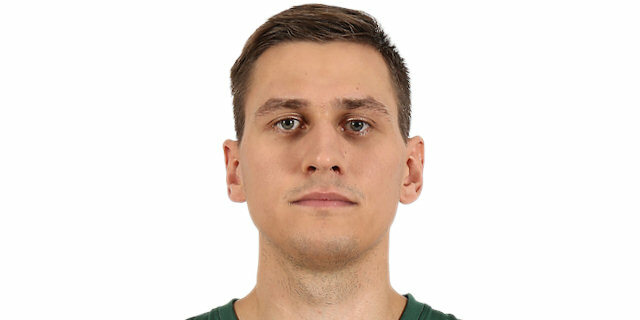 Ledo and Toupane traded triples, but Ulanovas and Martynas Valinskas fed Jankunas for consecutive mid-range jumpers, which extended the margin to 78-66 midway through the fourth quarter. 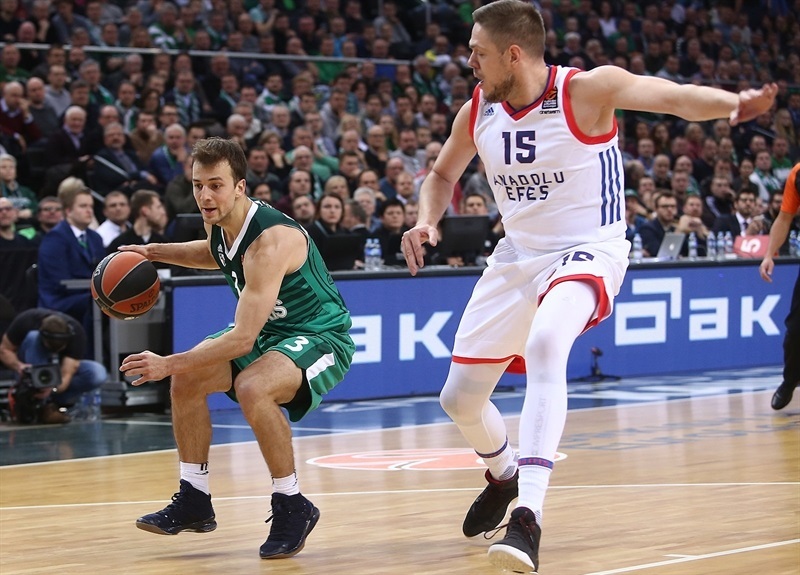 Efes had no solutions for Jankunas , but Ledo had a three and Dunston a three-point play that cut the deficit to 84-79. Dunston’s reverse dunk got the visitors within 86-83, but after a timeout, Pangos drove for a basket and then hit a three-pointer to seal the outcome. "It was tough because we kept making mistakes. We played good offensively, and some moments I think really good offensively. But childish mental mistakes are not letting us make the next step so far. On the other hand, I cannot be more happy. We are in a good position, we have to rest a little bit after a marathon of the games and get better physically. But more importantly, like anything in life, get better mentally." 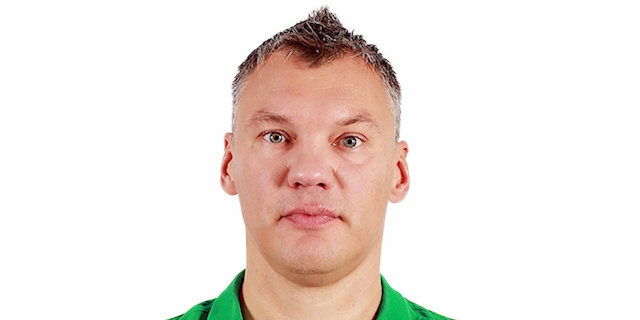 "Congrats to Zalgiris for victory. Today they deserved the victory. In the first half the difference was offensive rebounding. 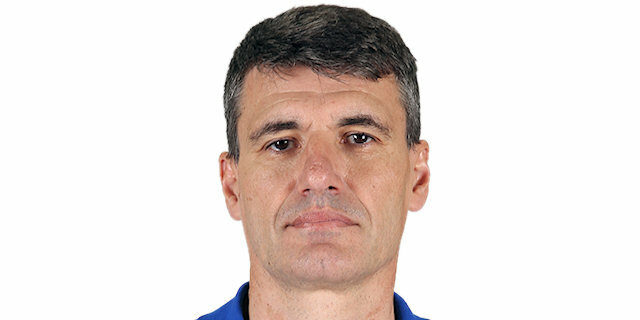 In the second half we tried to adjust to that problem, they played really good and in the crucial moments when we came close, they always found the way to score, in last seconds or from pick-and-pop situations. We were close, but could not get in front." "We played better defense in the second half. This team is very talented, they have good one-on one players and all five players needed to play good defense, to shrink the court. They did not have many assists, we did a good job in the second half, and that is why we won. One day you can play good, one day not so good. We have 12 players on the roster, and every game we need everybody. This is a team sport. Who knows? The next game is a different story."